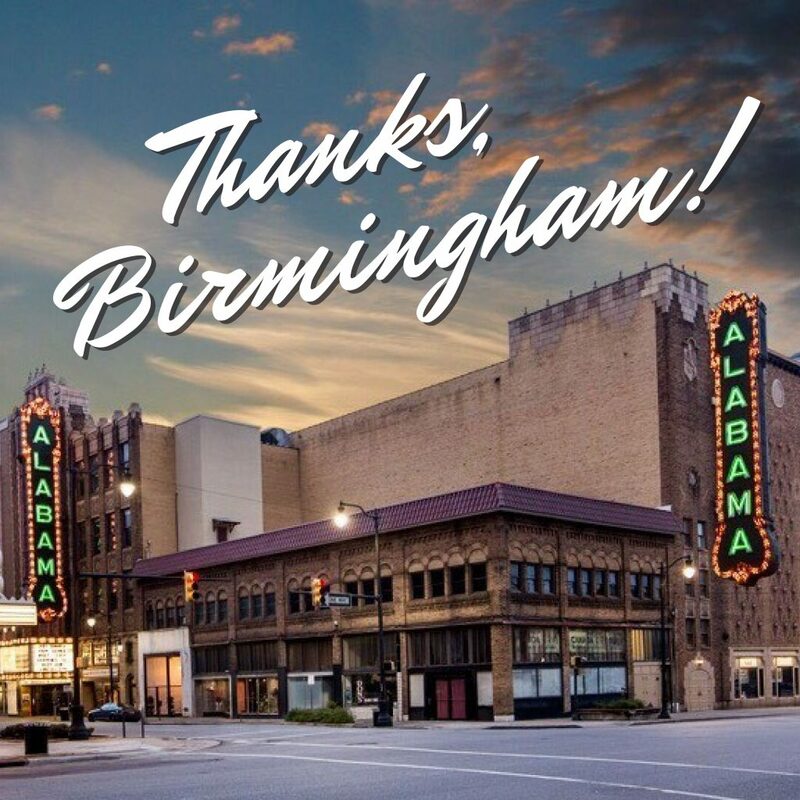 Thanks to your diligent voting, the historic Alabama Theatre finished in the top 10 of the Partners in Preservation: Main Streets campaign and will receive a $120,000 grant to put toward the 18th Street sign replacement project! The grant will supplement sign funds pledged by Birmingham’s generous corporate community, including Alabama Power, BBVA Compass, Regions, and Birmingham Landmarks Junior Board. The local and national dollars combined will allow the theater to restore its second vertical Alabama sign that has been missing from 18th Street since 1957. Thank you to everyone who submitted the more than 54,000 votes for the Alabama Theatre in the #VoteYourMainStreet campaign. Thank you for loving this theatre, and taking action to keep the Alabama preserved and operating so that many more generations can enjoy it. Want to donate to further historic preservation at the Alabama Theatre? Contact Tom Cosby at tom@alabamatheatre.com or 205-261-8848. Follow the Alabama Theatre on social media to track the progress of the big Alabama sign! The media kit contains a press release about the competition results and historic Alabama Theatre photos, as well as promotional materials from the campaign.